From The Weekly Standard. March 26, 2007. 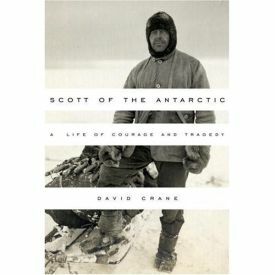 Right at the end of his biography of the great British polar explorer, Robert Falcon Scott, David Crane writes: "For most of his life there had been a widening gap between the idealist on the page and the flawed man, but it is the Scott of the page, and not of everyday life, that is the real Scott, and in the tent they at last became one." Ponder those words a moment. If they were to be taken to heart by the fellowship of biographers of which Crane is so distinguished a member, they would revolutionize the entire trade, which for most of the last century has been operating on the assumption that not only Scott's but everybody's "flawed man" is the "real" one. Why, you might almost think that Crane was advocating a return to the sardonic lesson of The Man Who Shot Liberty Valance: "When the legend becomes fact, print the legend." Of course, he is doing no such thing. That passage is just a gesture, a caveat, a momentary acknowledgment by (perhaps) his own "flawed man" within that, having spent so much time in the presence of a genuine hero, he can't leave him without noting that there is something real about heroism that makes the flaws he has tried so hard to sniff out seem trivial by comparison. "The tent" referred to is, of course, where Scott and his companions perished on their return journey from the South Pole in March 1912. Having walked well over a thousand miles to the pole and back, over some of the most forbidding terrain on earth, while pulling sleds weighing hundreds of pounds — and having found on getting there that they had been beaten to the pole by the dog sleds of Scott's Norwegian rival, Roald Amundsen — they died in a blizzard, unable to move and having exhausted food and fuel, 11 miles from succor. That tragic and heroic death made Scott more idolized and idealized by the popular culture in Britain than any man since Nelson, who also had a heroic death, a century earlier. Such adulation could not but have served as an invitation to biographers of the debunking kind — and Crane very briefly to the contrary notwithstanding, there has been no other kind for many years now. In Scott's case, the most comprehensive debunking came at the hands of Roland Huntford, whose Scott and Amundsen (published in the United States in 1979 as The Last Place on Earth) dragged Scott's flawed man, or something that could pass for him, out from behind the curtain of his legend and paraded him for all to see. Crane's biography should be counted among those that have since sought to rehabilitate at least some of the great man's greatness, though Crane is (of course) very far from being uncritical. But his efforts are hobbled by the fact that he still has one foot in the trap of late 20th-century cultural assumptions, and in particular the assumption that, in my view, lies behind all the controversy about Scott: namely, that the Victorian and Edwardian honor culture was a disastrous failure. It is only on the basis of this assumption that the subsidiary question of whether Scott himself (always considered at the time one of the shining examples of that culture) was a failure, or not, can be answered. Was he, in other words, a failure because the honor culture was a failure? Or was he a success in spite of the failure of the honor culture? The one view that is never considered by Crane, any more than it is by any others of Scott's biographers for the last generation, is the one that prevailed at the time of his death — that he was the vindication of that culture, and his failure showed its success. The reasons for this circumscription of the discussion are too complex to sort out here, but it is scarcely controversial to note that the word "honor" and its compounds and derivatives were frequently in the mouths of Scott and his admirers and supporters, just as they were in those of a great many Britons of the period, and that the word today, if heard at all, is likely to carry with it pejorative connotations, as in "honor-killing." Huntford and Scott's other detractors tend to stress what they see as Scott's bumbling amateurism as an explorer, and to regard his death not as heroic but as another reason for the discrediting of the Edwardian sportsman's cult of the amateur. Not that, you'd think, any more reasons were necessary after the pummeling that particular beau idéal has taken over the last 70 or 80 years! For all Crane's sympathy with Scott, examples of his "incompetence" — a word used to describe even the most trivial and inevitable failures and mistakes--stud his prose like raisins in a fruitcake. Nor is Crane above the portentous drawing of significance from these by frequent peeks over the horizon to such celebrated disasters of the First World War as Jutland or the Somme. There is a kind of stern, unbending techno-military puritanism about such criticisms — as if the norm were perfection and any deviation from it, therefore, a moral reproach to the commander — which is also becoming routine in the ever-more strident critiques in the media and Congress of the Iraq war. This seems particularly unfair as an approach to those, like Scott, who a century- and-a-half ago were bred up in an honor culture most of whose tenets were designed as stratagems to cope with failure. It's also a failure not to recognize this, as when Crane comments: "As astonishing as any of the miseries of this journey is the spirit with which they were borne." His astonishment must be due to his assumption that this is just a curious fact picked up along the way and not the essence of the honor culture that he is writing about without (quite) knowing it. The result is a schizophrenic quality to this book, since most of what it finds to criticize about Scott is also what it finds to admire. There are problems with the book — excisions, launderings and "quotations" from the original diaries that are not the literal transcriptions that they might seem — but these are no more or less than might be expected. Behind these silences and evasions lay the long and discreet tradition of Victorian biography, and if Lytton Strachey was already waiting in the wings, it would no more have occurred to Scott to air old grievances and dislikes than it would his modern successor to leave them out. 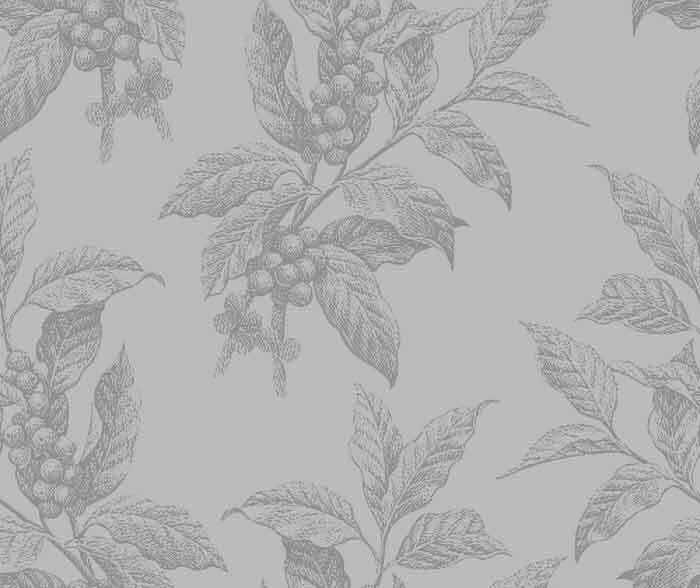 One could read the near-thousand pages of The Voyage of the Discovery and never know that there had been any tensions in the wardroom, that Scott had made Ferrar cry, that Barne had nearly lost them half a dozen men, or Armitage had spent the last year sulking in his tent. It plainly suited Scott's purposes to project an image of contented unity to the Admiralty and to the public, and yet the real point is that there would not have been a single man in the ship — not even Armitage at this stage — who would have wanted it told differently or not closed ranks around the "myth" perpetrated in his expedition history. Do I detect in those quotation marks festooning the word "myth" the dawning of a highly subversive recognition that myth is not just the creeping moss that it is the biographer's job to clear out of his garden, but something with a truth-value of its own? One of the most striking things about Captain Scott to emerge from this biography is his quickness with praise for the honorable, noble, unselfish, eager, uncomplaining, hard-working, generous behavior of others, down to the lowliest members of his team. We are no more to imagine that these others were actually (if we could know them in every intimate detail) without fault any more than he, himself, was. But he sets us an example of how to look at men in order to bring out the best in them, and it seems only fair and equitable that we, like so many of his contemporaries who reciprocated in the warmest terms, should do as much — and rather more than David Crane does — for him. As for Scott as the precursor of World War I in the discrediting of the British honor culture, we may again have reason to think that the last word was said by Scott's great companion, Apsley Cherry-Garrard, the author of what is still the finest account of the last expedition, The Worst Journey in the World: "A war is like the Antarctic in one respect. There is no getting out of it with honour as long as you can put one foot before the other."